Rio Tinto subsidiary Kennecott Exploration Company has signed a joint venture agreement with Valor Resources for the Berenguela project. Rio Tinto (ASX:RIO,LSE:RIO,NYSE:RIO) subsidiary Kennecott Exploration Company has signed a joint venture (JV) agreement with Valor Resources (ASX:VAL) for the Berenguela copper-silver–manganese project in Peru. Valor acquired Berenguela from SSR Mining (TSX:SSRM,NASDAQ:SSRM) in May 2017, and spent much of that year drilling at the project and establishing an updated resource estimate. The new JV deal entails Kennecott paying US$700,000 to SSR by the end of January as the latter company still owns a mortgage over the project. Kennecott is also expected to spend US$2 million on exploration over the next year. Upon doing so, the company will have the option to form a 50/50 JV with Valor for Berenguela in exchange for an additional US$3-million payment to Valor. Should Kennecott exercise that option, the company can put an extra $5 million into Berenguela to earn a further 25-percent stake in the JV. Going forward, future milestone payments meant for SSR will be shared by JV participants on an equity basis if the 50/50 JV option is exercised. “This is a very exciting time for Valor Resources and the undeveloped Berenguela copper-silver project. 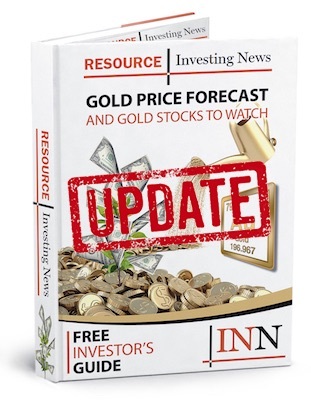 We welcome [Kennecott’s] involvement in the project’s development going forward and we are encouraged about the exciting near and longer term prospects for [Valor’s] shareholders,” Valor Executive Director Nicholas Lindsay said in a statement. The project currently has a measured, indicated and inferred resource of 45.9 million tonnes at 0.77-percent copper, 86 grams per tonne silver, 0.28-percent zinc and 5.1-percent manganese. Berenguela contains over 6,500 hectares of mineral concessions, with the current resource only making up 2.1 percent of the project’s total land package. A prefeasibility study is currently underway, with a metallurgical testwork program also ongoing. Alongside Berenguela, under Valor’s belt is its Picha project, a copper-silver exploration asset also located in Peru with a 3,000-hectare exploration concession. Valor’s share price surged on the news of the JV, growing 33.33 percent on Monday (January 14) and closing the trading day on the ASX at AU$0.004.